FASM offers a wide variety of art classes and workshops throughout the year. Most notable of these is the FASM Youth Visual Arts Mentoring Program, the artwork from which is now on display at the FASM at the Mall Gallery. Best methods and practices for taking photos of your artistic creations with a variety of image-taking devices including cell phone cameras? How to avoid that annoying glare? How to avoid unwanted shadows? How to keep the perspective right? Jason DiMichele is our guest speaker and will share his knowledge of how to capture the viewer’s emotion and imagination of what your art is in reality. Jason is an X-Rite Colorati, Hahnemuhle Certified Studio and Viewsonic Partner Photographer. He has been published in Outdoor Photography Canada, PhotoNews and the PhotoEd Guide. He has taught Nature Photography, Black and White, and Macro Photography Courses at Humber College. He teaches both creative and technical aspects at his many workshops and classes. 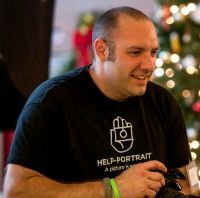 Jason will be at our FASM at the Mall Gallery to enlighten us on the mysteries of good photography. Please write to fasminfo@gmail.com if you wish to attend. Seating is limited so book early. 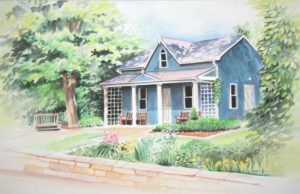 Join Ursula to learn how to paint with Alcohol Inks for a 4-week session. on Tuesday, May 1, 7, 21, 2019. * FASM at the Mall Gallery is located in the Milton Mall at 55 Ontario Street, beside Northern Reflections. This fee will include many materials that can be shared. Space is limited. Please contact Ursula at umcdermid@gmail.com to register and for a complete materials list. The Life Drawing models will be clothed because of the public access and viewing in the Milton Mall. Sessions are free for Still Life sessions, when there is no model available. Artists will be asked to help pay for the model’s fees – $10 per person – or, to keep costs down, ask each other to take turns posing. FASM members and non-members are welcome to attend. Coffee provided. NOTE: If you or anyone you know would like to model (sit for a couple hours), please contact us at fasminfo@gmail.com. For more information, contact us at fasminfo@gmail.com.